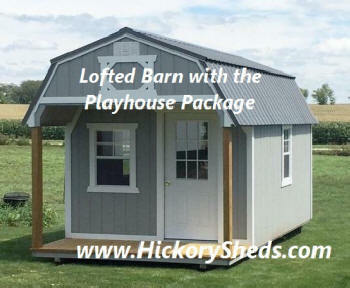 The Playhouse is stylish and practical and can be added to the Utility or Lofted Barn. 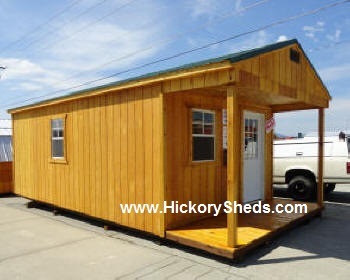 It's available in widths of 8' 10', 12', 14 and 16'. 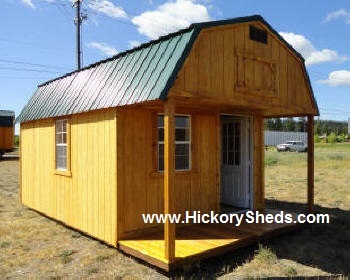 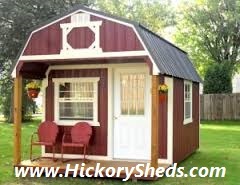 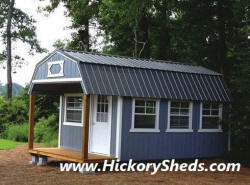 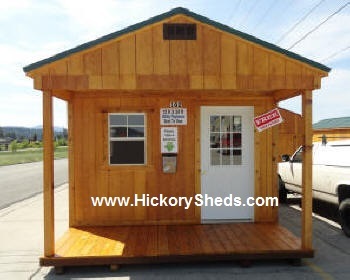 Features for all Playhouse buildings include a 36" 9-lite door, 3-2'x3' windows, and a 4' covered front porch. 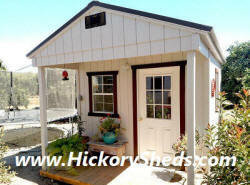 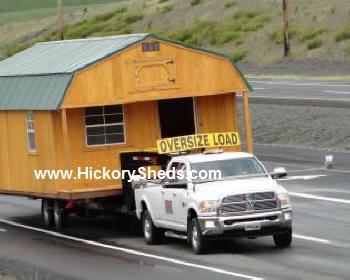 The Playhouse package makes an ideal cabin, office, studio or children's playhouse. 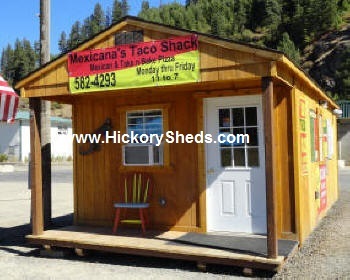 #75 12'x24' Utility "Taco Shack"
#77 On the River ... Life is good!